Why are you pursuing freelance writing? The why can make all the difference. These past few days I have spent some time talking with people about their why. As a consultant with Peculiar Productions, I believe that if you can unlock your uniqueness – your why or your passion – and you can pursue that uniqueness with a persistent boldness then you will never work a day in your life. I set out to share that with others. Many had a desire for the results, but only a few had the hunger to do what would be necessary to reach that end. They want the benefits – but anything worth having or doing will be more than just the benefits. The great thing about living in that passion is that the joy of getting to do it every day will usually overcome the fact that you are having to do. “I want to be a freelance writer . . .” Are you ready to fill in your blanks? You need to define your idea of success. You need to have an understanding of what you want to gain from this freelance writing journey. Until you set up your own parameters, you will be subject to the rules and parameters of others and you will struggle to find the right steps to get you where you want to go. 1. Define what you consider a success right at this moment. It could be that you are in a position to earn extra income for the family. It could be that you get to a place where you earn a living wage that supports the household. It could be that you reach that level of national (or international) fame and recognition. Whatever your success, you define it. 2. Be honest about what you are willing to invest to reach your success. Sometimes it takes money to get down that path. Sometimes it takes practice or rehersal to reach your destination. No matter what it takes, you have to be ready and willing to make the investment (or to adjust your success definition until it meets where you are willing). 3. Review the resources that you have to invest. You will need moral support to reach your finish line. You may need financial support to get down the path. You will need time to get to doing what you need to do. It is important to list the resources you have so that you can begin to map out a course for your journey. Being to uncover your why by determining what is success to you. Continue mapping out your journey to where you want to go by honestly evaluating your resources. Take the first steps into your freelance writing career by making a list of resources that you have available. 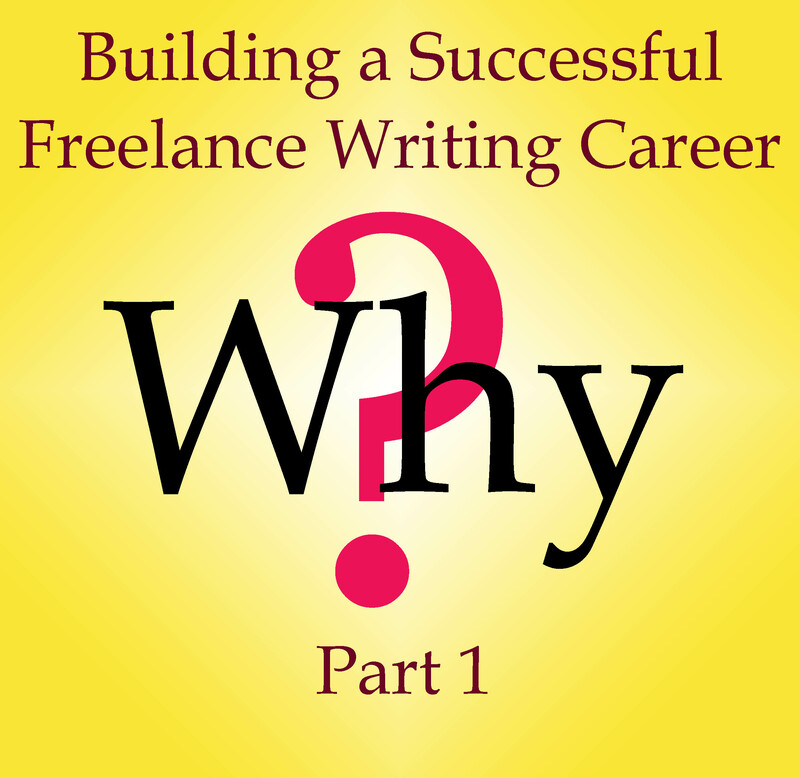 Are you ready to begin defining your why for a freelance writing career?